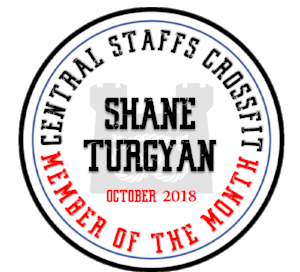 Shane has been a member at Central Staffs Crossfit since February 2018. Shane has progressed with gymnastics and has been working on his skills. He always takes information from the coaches on board and always asks advice. He’s a pleasure to coach. He comes in on open gym sessions and works his weaknesses or the strength session he’s missed during the wee and is truly inspiring to see. Well done Shane on being member of the month, keep up the good work buddy. Every month we dedicate a workout to a fallen hero. This is a free workout for anyone who has the time spare in order to show our respects. in order to join us on this workout, please use the button below. this workout is open to anyone and is absolutely free. 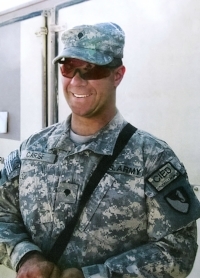 32, of Harrod, Ohio; assigned to 2nd Engineer Battalion, 176th Engineer Brigade, White Sands Missile Range, N.M.
Nathan died Feb. 8 in Kandahar province, Afghanistan, of wounds sustained when insurgents attacked his unit using an improvised explosive device. A big shout out to those members who took part in the Stafford 10k on the 23rd September. It’s great to see people getting out and abut and putting their fitness to the test. Big thank you to Sam Heath for the photos. 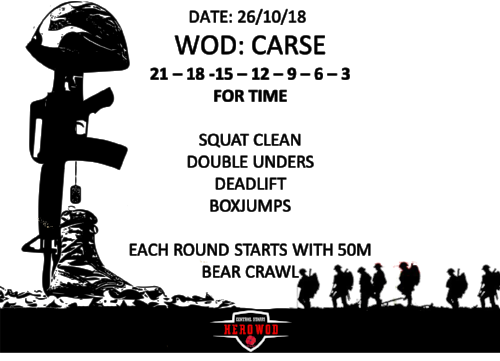 Remember if anyone is doing an event, please let us know so we can share your success with the community. Central Staffs Crossfit is pleased to welcome 16 new members to the Central Staffs CrossFit community. Everyone worked hard and honed their skills ready to hit the ground running. It’s a big commitment to agree to attend the number of classes we recommend, so we want to recognise that everyone has done a fantastic job and really worked hard. So expect to see these faces around the gym in the next few weeks and make them feel really welcome and at home. For those who completed the course, read our notes below on motivation and development. We were contacted by Sam, who recently completed our foundations course, and we wanted to share some of her comments with you. She kindly allowed us to use her message to not only encourage her to continue on this amazing transformation but hopefully inspire others to do the same. ‘Hi just wanted to drop a message to let you know how much I enjoyed my foundation course. I have battled for almost a year to get back to regular fitness not quite enjoying what I used to before my injury, so I finally decided to try something different and with the course commencing just days after my holiday it was clearly meant to be so I had to give it a go. The foundation course has been fantastic and useful for gradually introducing myself back to regular sessions and perfecting my technique and highlighting some areas that clearly I need to aim towards. I wasn’t putting any pressure on myself during the 4 weeks only to enjoy but clearly there was going to be some change. As I was desperately trying to find my mojo again I decided I would document my changes with photos and measurement and without particularly trying anything different with food other than generally trying to eat well. I was very pleased with my results over the 4 weeks and can’t wait to get started not only in my repeat WOD but in my stats to. My WOD, I didn’t hold out much hope for as this last week I have been full of cold and Thursday it had moved to my chest, but even with that I still shaved 15 seconds off my WOD time and could have gone quicker if without the cold. In 8 sessions and I even squeezed in a boozy hen weekend, and a 4 day all-inclusive break in during the 4 weeks and still got these results. Our next foundations course is already booked in and we kick it off on the 15th January 2019. A great gift for someone who’s ready for a life challenge or just wants to keep fit and have fun doing it. You can read more details on our Foundations breakdown, hit the bottom below to learn more. This month we wanted to cover a few things that most people struggle with, Nutrition, and determination. Over the last few weeks, Crossfit HQ has been reiterating the importance of a good nutritional diet and how this is the foundation of your lifestyle, not just your fitness regime. There are those that struggle with nutrition at its base levels and don’t realise it. Today's society is geared for fast living, and to allow us to cope with this we take shortcuts; a takeaway here, a quick snack there it all adds up. Now we are not saying you can’t have fun and enjoy some of the things you like, but that’s the key word “some”. Our bodies are constantly being loaded with refined carbohydrates and sugar in the most unexpected places. So, as a result, our bodies adapt and do what it was designed to do and fights back with chemical responses that are a natural part of its make up. However, we are not eating naturally occurring foods if we are buying and consuming convenience foods. Our bodies are designed to prepare for winter, yet our winter, if not careful is 365 days long, and we store the fat ready. Make a consistent effort to eat fresh food, and avoid prepackaged items. Think of it this way, in order to make your life easier, the big corporations use economies of scale to make a profit. In order to make the necessary margin for their shareholders, they replace ingredients with chemicals and other components to retain the flavour you expect. So you're compromising your health for the money in someone's pocket. It’s a harsh way to look at it, but it’s true. Its a fallacy that healthy eating costs more, in fact, if you eat right, you will feel fuller for longer. The only thing you are sacrificing is the time it takes to make the food. The time you are saving eating the prepackaged food is potentially time you are limiting your life by. The reaper catches us all in the end. Your biggest challenge is to stop the cravings. Start by reducing your sugar intake, cut the 2 spoons in your tea/coffee. Prepare a meal for work instead of Mcdonalds. Switch to flavoured fruit water instead of soda. It will take a while for you to see the difference and for a short time your food will seem bland, but that’s the point. Eventually, you will start to rediscover the natural flavours in everyday natural items. Your taste buds are bombarded with over the top flavours on a daily basis, and to compensate your body will crave the next big flavour. Food manufacturers will exploit this by loading their foods with salts or sugars. Its similar to being in a public area, it starts off with everyone talking at a reasonable level, then someone gets a bit louder to be heard by the other, then someone else gets louder, and so on until everyone is shouting over one another to be heard. Strip your eating habits back and see what happens. Now, motivation is a key thing in everyone's lives, we are motivated to do better, motivated to seek new fun things to do, and motivated when we succeed at something. However, how do we react when things don’t go as planned? Have you considered all of the factors that lead to the plans failing? When it comes to fitness and your skills in the gym, most people expect results immediately, but it's not always something that happens. If you haven’t done a pull-up, you shouldn’t expect muscle-ups a week later. Determination will keep you striving for your goals, and there will be periods of failure, the key to change is to be persistent, practice until you get the basics nailed consistently. It will be frustrating, it will drive you mad, you probably won’t see the reason for the slow progress, but things will change if you keep at it. Hitting a WOD is only part of the process, that’s why we at Central Staffs CrossFit incorporate accessories and skills in our programming. These alone won’t get you to your goals, but the teaching behind it and your determination and dedication will get you there faster. Similar to nutrition, getting the basics right is the key, you will avoid injury, and you will remain in the game longer. So where does motivation come into it? Well, set your self a realistic goal, keep moving towards it. Even if they are small steps you will eventually reach it, you have more chances of falling if you run towards it. Your motivation comes from why you need to get there. People tend to join gyms in January as part of a New Years resolution but who really sticks to those? For you to succeed you need to have a vision, a reason for doing something, a real deep sense of what you want. Make it tangible, make it realistic (you can always raise the bar later). Want to run a half marathon? Why? Think about how important it is to you and why use that to get you across the line. Is that enough to get you out of bed and running day in day out? When you find your motivation, you will start to benefit from the actions you take to achieve it, just don’t expect it to come overnight, and make it mean something to you.